…the potential for live virus vaccinations to cause disease is simply something that often gets overlooked by the general public. 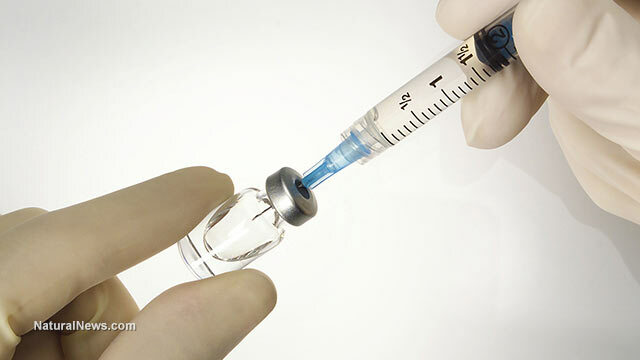 It is not just the shingles vaccine that is worrisome; there are plenty of other inoculations out there that can also actually spread disease as well. But, did you know that the shingles vaccine could raise the risk of someone else getting chicken pox? Will Big Pharma Ever Stop Squeezing Money Out of People? The relationship you have with your doctor is founded on trust, but your doctor or hospital might have a stronger obligation to “big pharma” than to your health. The below infographic created by The Law Firm highlights the impact of big pharma on Americans. Big pharma refers to the most influential pharmaceutical companies in the U.S., and this influence goes beyond profits. On average, Americans are spending $1,112 per capita on prescription drugs, four times more than Mexico. Also, the average child has four prescriptions filled per year, while adults fill 12 each year and seniors fill a whopping 27 separate prescriptions each year. Between August 2013 and December 2014, these pharmaceutical companies spent $3.49 billion in disclosed payments. If you’ve been prescribed drugs from Johnson & Johnson, Pfizer or AstraZeneca, you might benefit from knowing these companies are spending a significant amount more on marketing than on research and development. Johnson & Johnson spent more than double on marketing in 2013, a total of $17.5 billion – and these companies aren’t alone. In fact, 90% of pharmaceutical companies engage in this practice. If you’re a parent, you’ll be surprised to see that the two doctors earning the highest pharma profits are in family medicine and pediatric critical care. Even more, the top spending pharmaceutical company, Genentech Inc., spent a total of $388 million in payments to doctors. This company is behind the drugs Valium, Klonopin and Xenical. These aren’t the only statistics presented in this infographic – and with a thorough read, you’ll be able to fully understand how you or your loved one’s health could be impacted in the pursuit of profits. Take a look at the below infographic to learn more about the power and influence of pharmaceutical companies in the U.S., and how they can be stopped.